One of the Oklahoma City area’s numerous urban islands, the incorporated town of Warr Acres was created in 1948 in western Oklahoma County. In this area, well outside Oklahoma City’s and Bethany’s corporate limits, developers began to create residential areas there. In 1909 Israel M. Putnam, real estate developer and member of the first state legislature, had purchased land west of Oklahoma City in Council Grove Township. On a 160-acre tract about eight miles west of downtown, he sold lots in Putnam, later Putnam City. More significantly, he attempted unsuccessfully to engineer the relocation of the state capital from Guthrie to his Oklahoma County property. 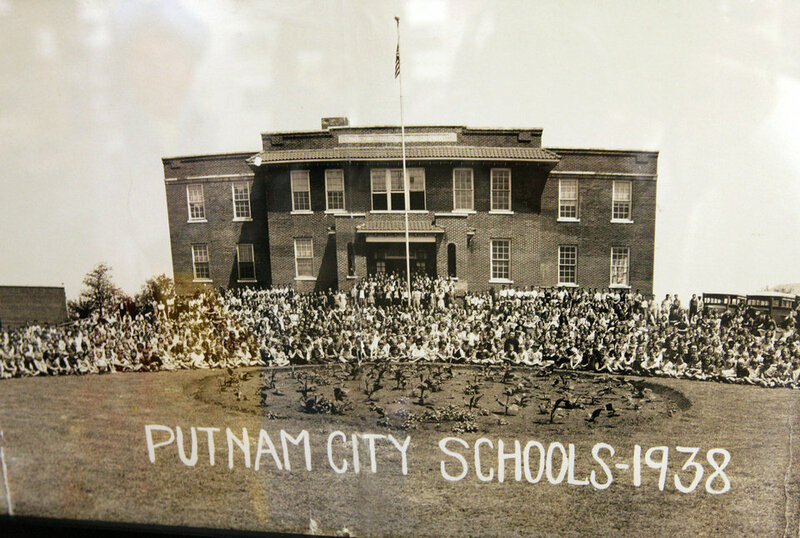 Putnam City grew but never incorporated. Warr Acres housing addition was created nearby in 1937 by Clyde B. Warr, an Oklahoma City real estate promoter since the 1920s. He followed with Warr Acres Second Addition. In the area’s early years an interurban railway provided quick access to jobs in Oklahoma City, and a bus line launched in 1946 by Warr provided similar service. Transportation promoted growth that accelerated in the post-World War II era. By the 1940s many housing developments had been planted in the western part of Oklahoma County. The impetus for incorporation came in January 1948 when Bethany’s city council voted to annex Ferguson Park, Smythe Place, and part of Warr Acres. Therefore, in February residents of eight other additions, including Putnam City, joined the three in petitioning to incorporate. The county commission allowed it. Of the approximately 2,000 area residents, 857 voted for the merger (40 voted against). Bethany filed suit, and the Oklahoma Supreme Court upheld the Warr Acres incorporation. The name Warr Acres remained, because the community had earlier been given that postal designation. In its first formal decade Warr Acres continued its rapid expansion. The 1950 census reported 2,378 residents, and the 1960 census, 7,135. As single-family and apartment residences multiplied, city services could not keep up. In September 1952 some dissatisfied residents petitioned Oklahoma City for annexation. The movement fizzled, reappeared in 1954, and died again. In the 1960s and 1970s shopping districts emerged at the intersections of MacArthur Avenue with Thirty-ninth, Fiftieth, and Sixty-third streets and Northwest Expressway. 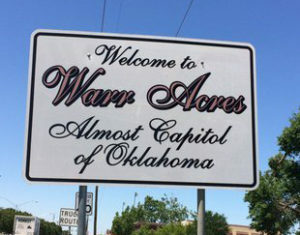 In future years Warr Acres annexed adjacent residential developments that were not in Oklahoma City or Bethany, and by 1979 the town comprised more than three square miles. In 1980 Warr Acres was a substantial “bedroom” community with a population of 9,940. Service-related businesses predominated, numbering approximately 250. 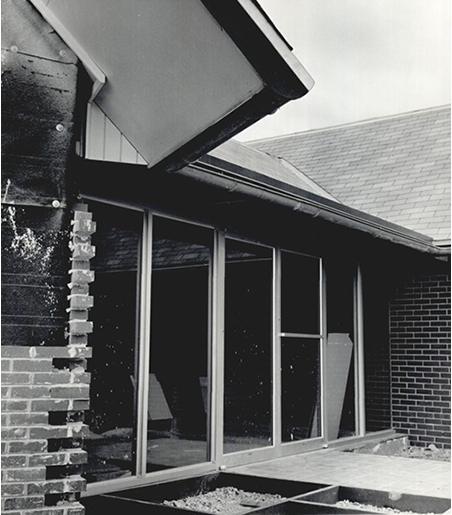 The city’s annual budget supported police and fire departments and various other services, including a sewage treatment system shared since 1950 with Bethany. The YMCA’s Camp Don Shelley and the YWCA’s Camp Ione provided outdoor activities for boys and girls of the Oklahoma City area from 1963 and 2003, respectively. Newspapers included the Putnam City-Northwest News, continued as the Northwest Quill in the 1980s. At the end of the twentieth century Warr Acres reta ined a small-town atmosphere. It is generally bounded by Wilshire Boulevard on the north, Mueller Avenue on the west, Thirty-third Street on the south, and Meridian Avenue on the east. State Highway 3 (Northwest Expressway) and U.S. Highway 66 (Northwest Thirty-ninth Street Expressway) pass through the community. Nearby Wiley Post Airport provides private air transportation. 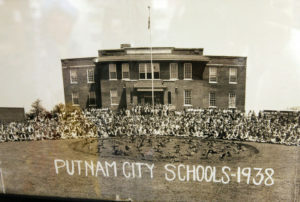 The Putnam City School District serves some parts of Oklahoma City and all of Warr Acres. In 1990 the population stood at 9,286 and in 2000 at 9,735. Citizens maintained a home rule charter with mayor-council form of government.